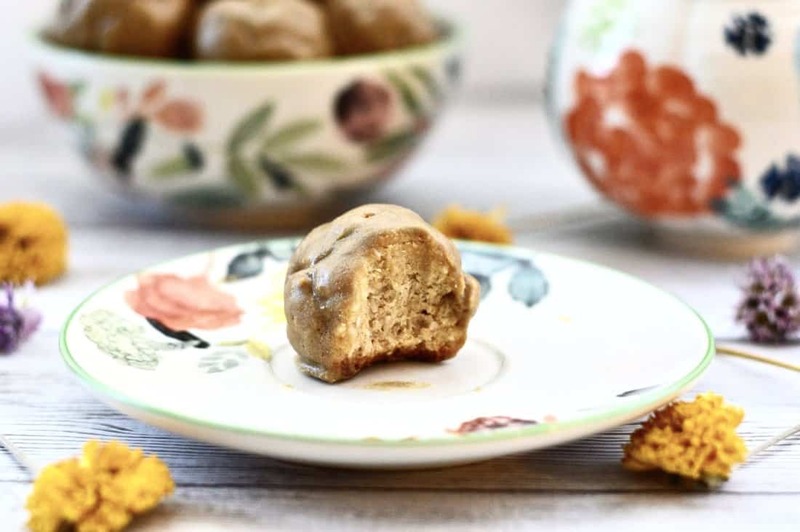 Paleo Cookie Bites with Maple Butter Frosting. Is your moth watering yet? If not it should be because these are so, so good! I actually created these last summer and totally forgot about them! What a shame right? 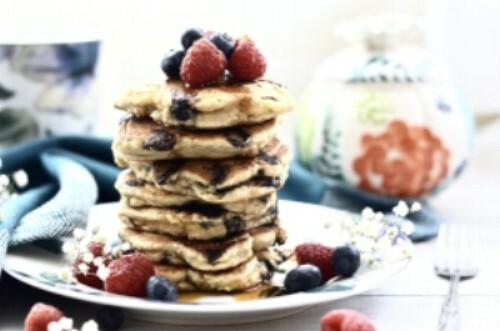 Well good thing I was scrolling through food photos the other day and came across these beauties. Better late than never right? So how was your week? Great I hope! We had a pretty busy week and weekend. On Saturday we had two parties to attend: one BBQ celebration and one engagement party and then Sunday we had another dinner to go to. It was a little tiring. It’s amazing to me how you can have a few weekends in a row without anything going on, and then one weekend is just packed with events and activities. Do you find the same thing? Did you have a busy weekend as well? In other news, I got my car back! Yep my little Jetta hasn’t totally kicked the bucket yet. But I am starting to realize it’s probably time for me to give in and get a new vehicle. Sad. I have had that baby for 13 years. She got me through undergrad, medical school and residency. We have been through a lot that’s for sure. And I know I mentioned this last week, but seriously if any of you could recommend a good vehicle that comes in standard I would really appreciate your suggestions! I am totally not a car person but just want something that is going to be reliable, and get me from point A to point B. I also like a little pep in my car. Yep peppy, reliable and a standard. Those are my three requirements. So all you car experts please chime in! And one other, even more exciting thing for me to share: my e-book is almost done! Like so, so close! 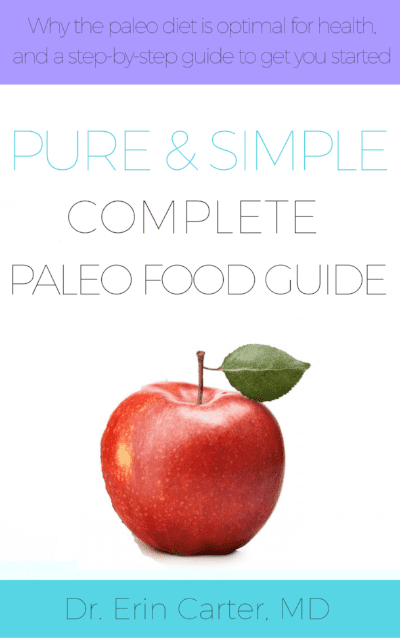 I have created a 100 page guide called The Pure and Simple Complete Paleo Food Guide. In it you will be able to learn exactly why the North American diet is so bad for your health, why the paleo diet is so healthy, how to change to the paleo diet successfully, and what to expect when you switch your diet. I have included 15 pages of safe and unsafe food lists, a 7 day meal plan and 15 recipes to get you started as well as so many helpful tips and suggestions to help you succeed on the paleo diet. Because I get so many questions from both my readers and my patients about how to successfully switch to the paleo diet. It was about time that I finally put a resource like this together. I would like your help though. Below is a photo of the cover I am planning to use for the book. I want to hear your thoughts. Do you like it? Hate it? Think I should change anything? Please let me know! 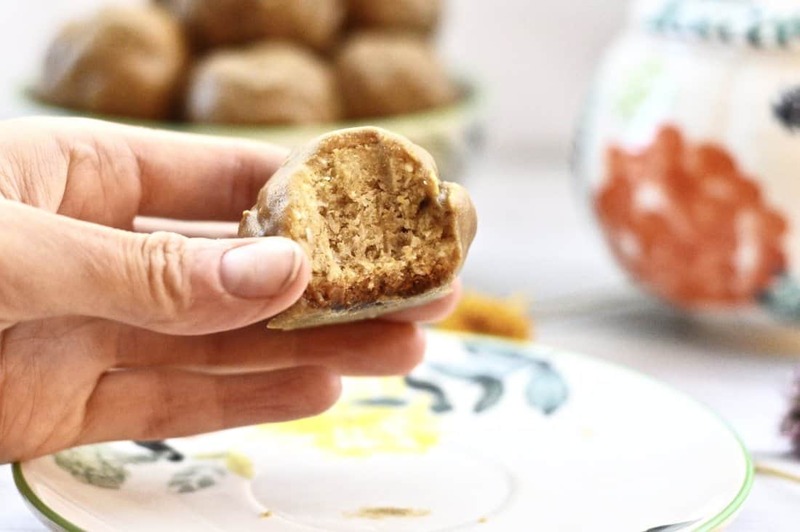 But let’s talk about these mouth watering Paleo Cookie Bites with Maple Butter Frosting. Because I mean, yum! This frosting is my new favourite thing. I have started making a double batch just so that I can have extra around to eat. It’s great for dipping in fruit, or just eating right off the spoon. I definitely need to make some more recipes with this icing that’s for sure. I am thinking donuts might be up next. Would you be interested in that? I don’t have any donut recipes on the blog yet so I guess I am overdue. I am thinking either vanilla donuts with maple icing or chocolate donuts with maple icing. Which sounds more appealing to you? These cookies are really, really tasty. They have a nice crunchy middle and then a melt in your mouth outside frosting that just goes really well together. These make a great dessert or even snack. I like to keep them in the fridge so that the frosting stays a bit firm. But if you don’t plan on eating them right away you can also store them in the freezer and take them out when you need a little something sweet. Please let me know what you think of them! I am always looking for your feedback! 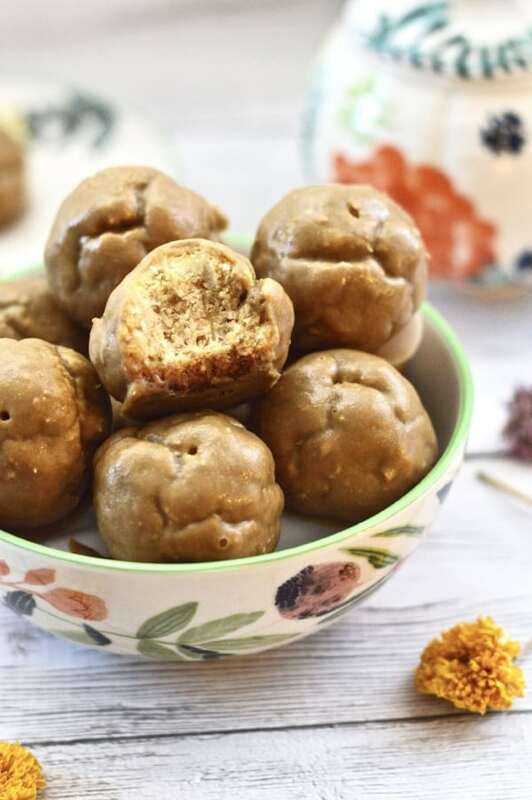 These Paleo Cookie Bites with Maple Butter Frosting turned out so good that I decided to make the recipe available to my email subscribers as part of my FREE Paleo Dessert Cookbook. So keep scrolling to download your own copy.